As the year almost comes to an end, we do plan now where to spend our New Year’s Eve and welcome 2019 with a blast. 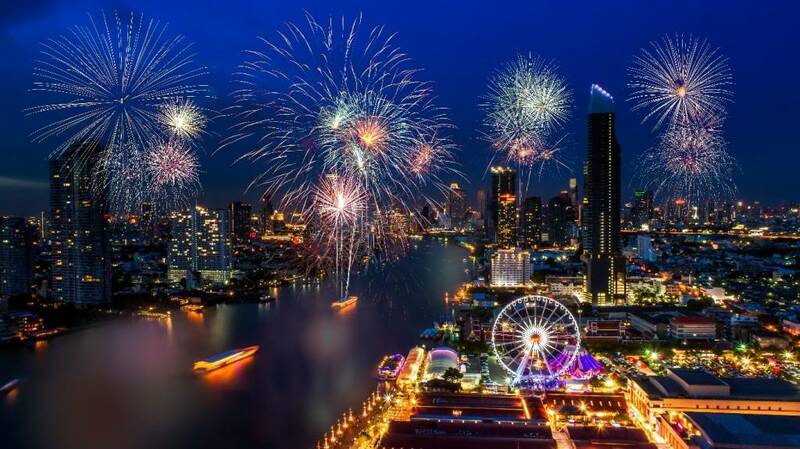 If there is one place to spend your NYE and would make it unforgettable, that is Bangkok. 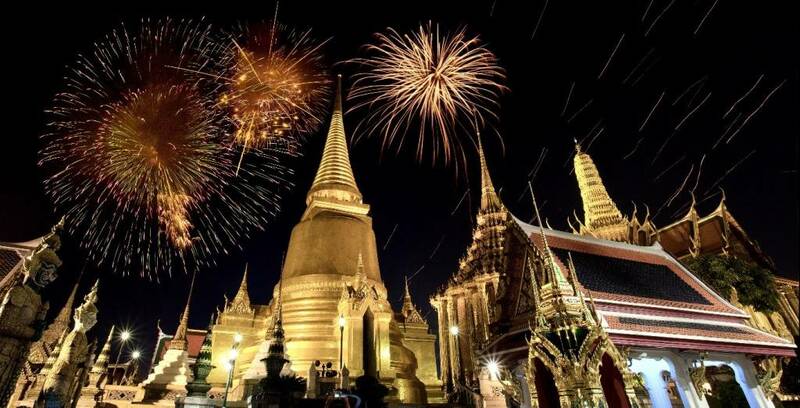 Celebrating the New Year in Bangkok can range from relaxing to as loud as it can get. 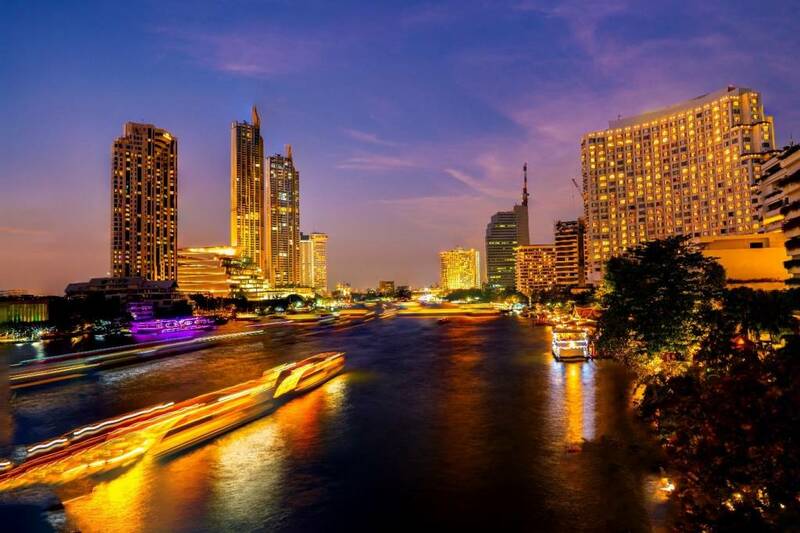 There are lots of places to go in Bangkok for every option there is like having a rooftop dinner while sipping a Champagne, watching the sky as fireworks explode in different colors, or having the best night of your life at clubs with your gang. Whatever your choice would be, know that you have your own place in Bangkok! Let’s get the party started and continue reading the blog below to know where you can possibly celebrate your New Year countdown in Bangkok. 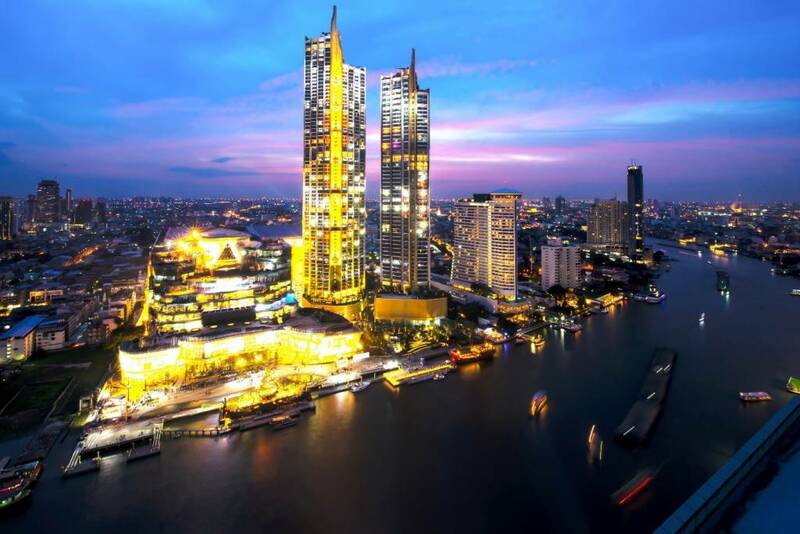 If there is one thing that would excite you to visit Bangkok right away, then it would be the newest mall and one of the most talked Bangkok attractions nowadays which is the Iconsiam. This 750,000 square meter riverside complex made up of dining, entertainment, retail, and residential spaces recently opened to the public. You might say that it’s just another mall but what makes Iconsiam the fairest of them all is Thailand’s first Takashimaya and Apple store. The highlights of the mall include SookSiam, a huge themed zone situated on the ground floor that promotes the arts and culture of Thailand including its own small version of floating market. This is one of the great places to go in Bangkok to see new attractions as you welcome the New Year and bond with your family or friends. One of the things to do in Bangkok during New Year is cross praying for the year to come. Aside from countless parties for the event, you may also send off 2018 in Thai style and in Buddhist way. You can pray for the upcoming year may bring you happiness and success. There are more than 50 temples that participate in this activity where you can pray and meditate together while listening to the sermon such as Wat Thep Lila from Bang Kapi district, Wat Phra Sri Mahathat from Bang Khean district, Wat Sraket Ratcha Woramahawihan from Pom Prab Satru Pai district, and Wat Rachatiwat Racha Worawihan from Dusit district. Also, you can join as they clap the Gong in welcoming New Year in Bangkok. If USA has New York Times Square, Bangkok has Central World Square. 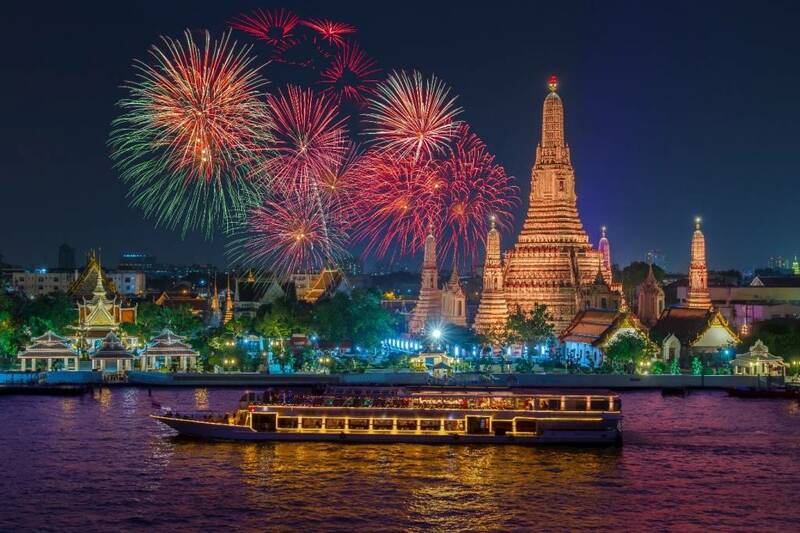 If you are planning a holiday in Bangkok on New Year’s Eve, this is one of the most suggested places you can go to. 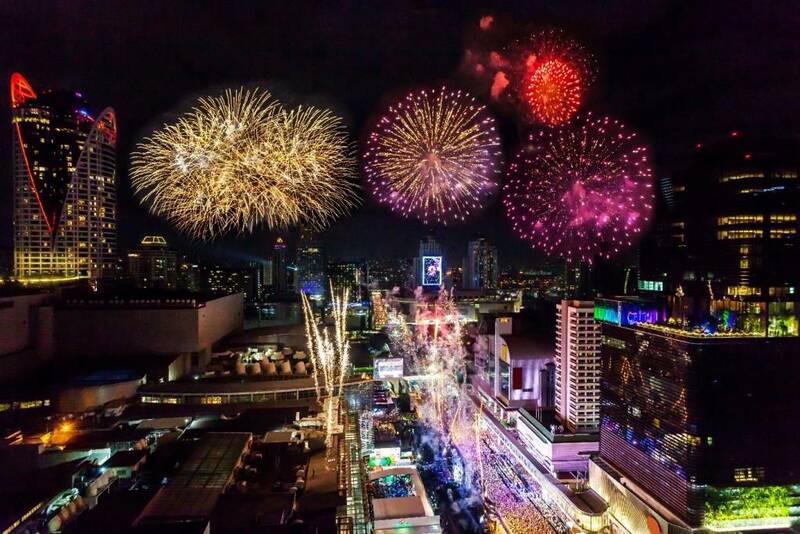 The largest and most famous countdown in Bangkok happens in Central World Square. Free your mind from worries as you sing along with popular local artists’ live performances. Plus, you can also enjoy draws, the beer garden, and countdown with other countries all over the world projected on large screens. One of the places to go in Bangkok not just during New Year’s Eve but pretty much around the year is Asiatique. However, this place become highlighted when celebrating New Year thus, becoming one of the most popular places to go during this event. The countdown will air on the television starting 17:00 of December 31. Expect to have live music, celebrity appearances, and of course the most awaited fireworks display as the clock strikes twelve. Just a tip! Restaurants here host special dinners and booking ahead is recommended for you to make sure you get a spot. It doesn’t really matter though where you will spend your New Year’s Eve. What matters most is that you learn to let go of the negativities you had in 2018 but make sure to bring the lessons in 2019. Welcome the upcoming year with happiness and spend it with the people that matters most to you. 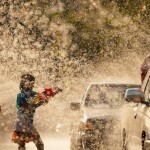 Has our Bangkok travel guide made you excited? Countdown in booking flights to Bangkok starts now at Bangkok Airways.